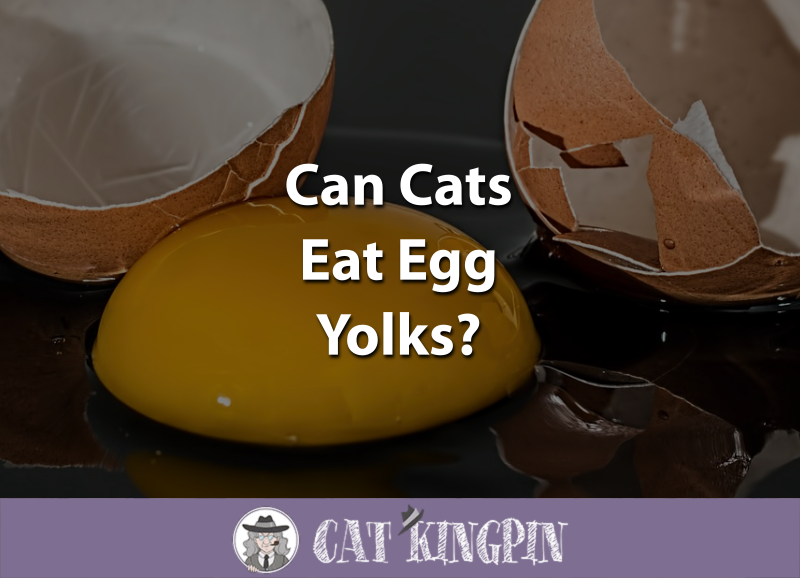 » Can Cats Eat Egg Yolks? Can Cats Eat Egg Yolks? I wouldn’t normally eat raw egg yolks, but, if I had to pick one guilty pleasure in life, it would be eating raw cookie dough. Besides too much sugar, cookie dough often contains raw egg yolks that can make you sick. But, how bad are raw egg yolks for you, anyway? Can cats eat egg yolks? Can Cats Eat Raw Egg Yolks? Can Cats Eat Hard Boiled Egg Yolks? Should Kittens Eat Egg Yolks? People and cats have been eating eggs since the dawn of time. It’s even thought that chickens may have first been domesticated for their egg production. As anyone who has ever cracked open an egg can tell you, inside the shell you’ll find the clear egg white and the yellow egg yolk. Nutritionally, over half the fat in an egg is found in the yolk. In the wild, cats don’t have a choice. Wild felines will often eat a chicken, bones and all, and any eggs they may happen to get their paws on must be eaten raw. However, this doesn’t mean raw eggs yolks are the best choice for your cat. The main problem with raw egg yolks is that they can harbor bacteria. A much safer choice is a specially-formulated cat food such as Purina Beyond Grain Free Recipe. With white meat chicken and eggs, this cat food is formulated to meet all of your kitty’s needs without the risk of bacteria found in raw eggs. If you do decide to give your cat egg yolks, hard boiled is the way to go. When the egg yolk is cooked, any bacteria that might have been present are destroyed. 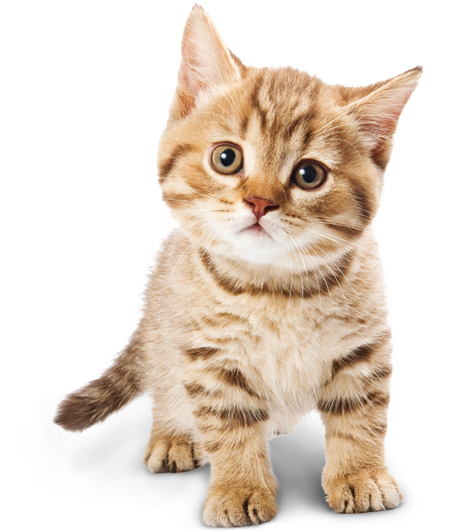 Kittens tend to be more susceptible to disease than adult cats because of their size and immature immune systems. Toxins and bacteria that might be found in raw egg yolks are even more likely to make a kitten sick than an adult cat. The safest choice is to never feed a kitten raw egg yolks. If you’re going to give your kitten egg yolks, make sure they’re hard boiled to kill potentially dangerous bacteria. However, keep in mind that too much cooked egg yolk in a kitten’s diet doesn’t allow them to get all the nutrition they need from their regular food. A high-quality, grain-free kitten food has all the nutrients a growing kitten needs. Wellness kitten food or else Taste of the Wild kitten food are both great examples of nutritious food that kittens can – and should – eat. Egg yolks are packed with nutrition. Filled with vitamins and minerals such as vitamin D and phosphorus, as well as a good amount of protein, egg yolks contain many of the nutrients cats need need in their diet. When given in small amounts, cooked egg yolks can be a healthy and nutritious snack for your feline buddy. You just want to make sure you don’t give them too much. Egg yolks are relatively high in saturated fats. Cats can enjoy a diet proportionately higher in fats than humans without any negative effects, but that doesn’t mean it’s good for them. The main problem with cats eating a high-fat diet is they could become overweight. In severe cases, life-threatening septicaemia and endotoxemia may develop. While it’s unlikely a little raw egg yolk will cause serious health problems for your cat, why take the chance? Your cat’s fine to have a little bit of hard-boiled egg yolk from time to time. However, for their regular diet, a well-balanced cat food is the best bet. For cats that like a little more variety, there’s also these Purina Beyond Natural Cat Snacks made with chicken and egg that will keep things interesting for your feline friend. And, if you really want to make mealtime fun, try putting those snacks in this interactive toy and food dispenser. So, can cats eat egg yolks? Well, now we know that cats can eat hard boiled egg yolks. However, it’s best to give it as a special treat and in limited quantities. We also learned that it’s best to avoid giving raw egg yolks to your cat or kitten because bacteria could be present that can make your kitty sick. Most importantly, we saw that there are many safe and healthy egg cat treats that are great alternatives for your kitty. If you have any questions or would like to share a story about your cat and egg yolks, please tell us in the comments below! We’d love to hear from you!